Kevin Green has launched STORE STORE, a design space and shop for twice-weekly after-school clubs, with associate James Shaw. Located in Coal Drops Yard, London, STORE STORE provides a flexible creative and retail space for a series of after-school clubs run by STORE, an association of artists, architects and designers. 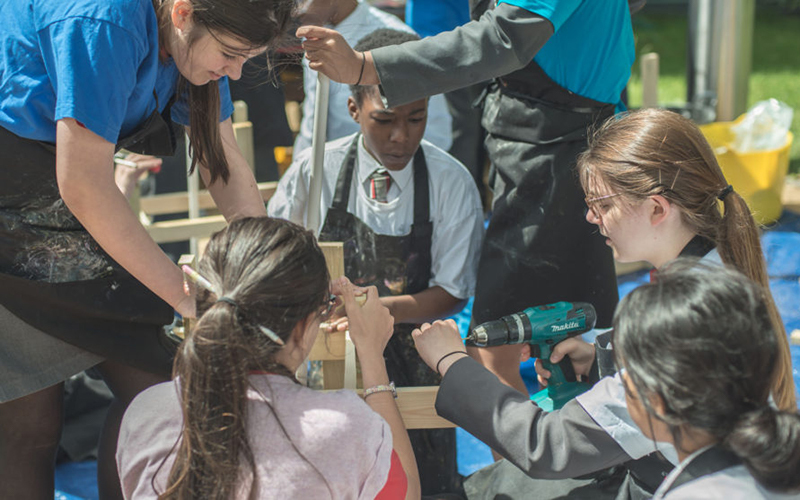 With a mission to facilitate and drive local change within the urban environment, the after-school clubs are designed to engage high school pupils in the Camden Borough with design, architecture and their local community of shopkeepers. Working closely with Kevin, James and a number of professionals, pupils who attend the after-school clubs will have the chance to gain industry-level experience in CNC cutting, glass-blowing, ceramics, pattern cutting, laser cutting and other manufacturing techniques. They will be working to design and prototype products that will then be on sale to the general public. STORE STORE is a not for profit community interest company and all royalties from the shop will go to a cause of the students’ choice.